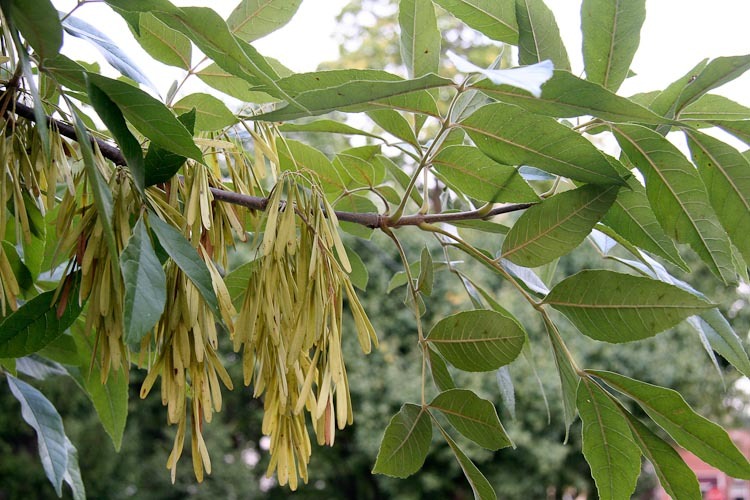 Ash trees have opposite pinnate leaves, and fruits that are single winged samaras. Many ash species have some color as pat of their common name. There’s a white ash, green ash, red ash, blue ash, and black ash. Black ash is a very special tree because it is one of the few woody plants that can grow in persistently satyrated soil, i.e., swamps. Here’s a black ash sapling at Cedar Bog in Champaign County, Ohio. Black as is a swamp tree. Black ash wood, while inferior in strength to other types of ash wood (such as white ash which is used for baseball bats) is nonethess useful for something. 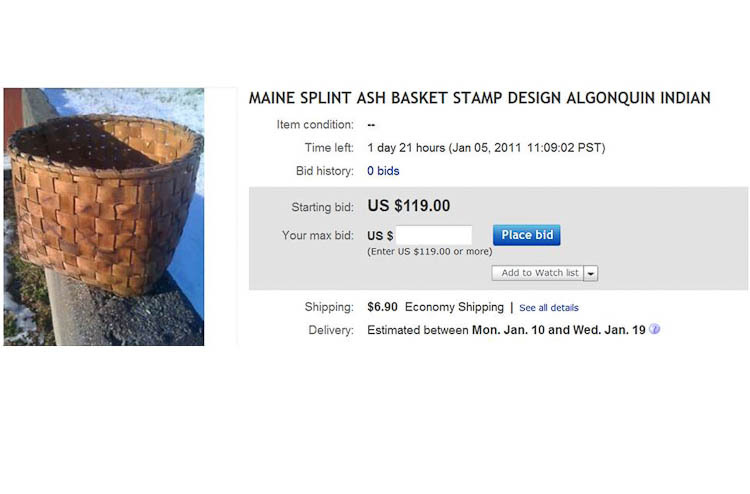 Black ash is used to make baskets! The logs, when pounded, separate between the growth ring boundaries, and then, when sliced lengthwise, can be peeled off into ribbon-like strips. 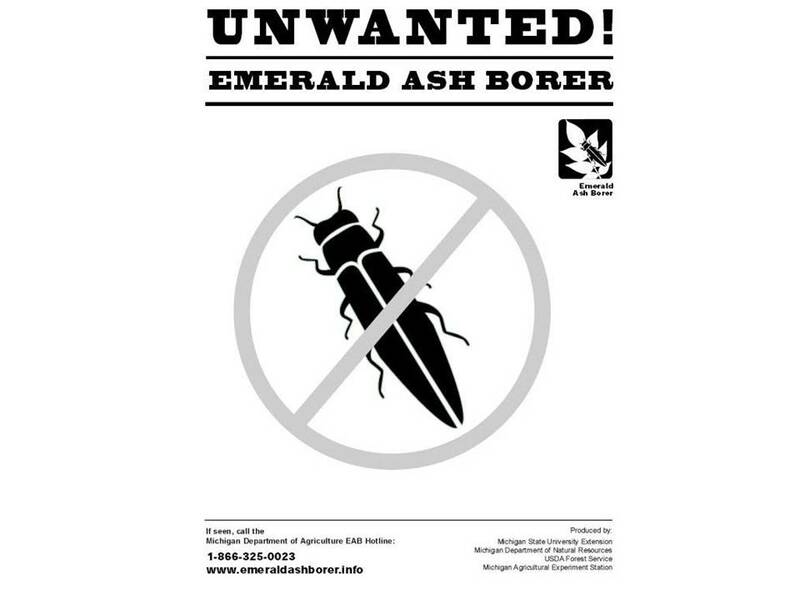 Ash trees are severely threatened by recently introduced Asian wood-boring beetle, the emerald ash borer. 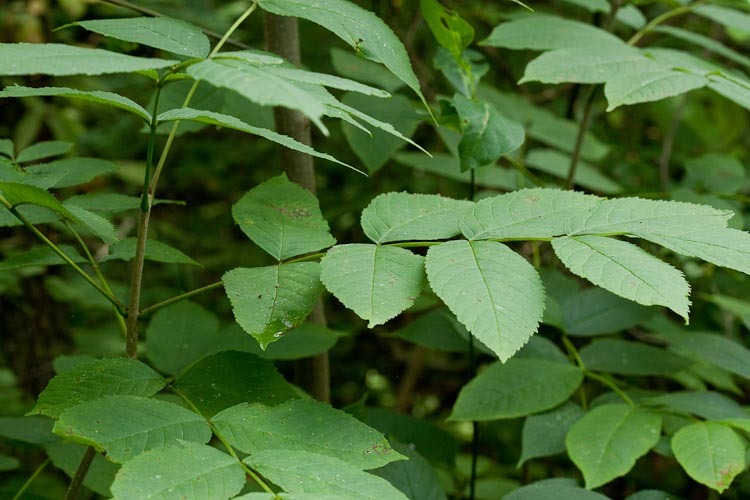 It’s killing all types of ash trees as it spreads across the mid-west and northeastern U.S. In some places, transporting firewood across county or state border is prohibited. Research is underway to determine if there are any natural enemies of the emerald ash borer that could be used to help control it.